When you enter information on this website, such as when you order products in our on-line store or enter contact information, we may ask you to provide certain information about yourself by filling out and submitting a form. If you elect to engage in these activities we may ask you to provide us personal information (such as your name, e-mail address, mailing address, day phone number and credit card information when ordering products or services), as well as create a username and password for certain on-line activities. This information allows us to keep a user profile so that we may customize preferences for each specific user, as well as provide a method for users to submit information and orders, and receive back either the information or products desired. Visitors will be given a choice when registering whether they would like to be on our mailing list. Only agents working on behalf of our Company and under confidentiality agreements will send you these direct mailings and only if you indicated that you wish to receive this information from us. At any time you can easily inform us of your preference to no longer receive such offers and mailings by contacting us as noted below or via email through the website. A variety of security measures to maintain the safety of your personal information have been implemented. Secured networks are used to contain a user&apos;s personal information. This information is only accessible by a limited number of employees who have special access rights to such systems. Also, when you place orders or access your personal information, we offer the use of a secure server. All the sensitive/credit information supplied by users is transmitted via Secure Socket Layer (SSL) technology and then encrypted into databases to be only accessed as stated above. We do not sell, trade, or rent to others personal identifiable information that visitors voluntarily provide in any registration or information submission. The information you provide is used simply to tailor our services for you, better understand visitors&apos; use of our site, and to support any transactions you make on the site. We do provide some of our services through contractual arrangements with affiliates, services providers, partners and other third parties. We and our service partners use your personal identifiable information to operate our sites and to deliver our services. For any ordering transaction, your credit card information must be released to the card-issuing bank to confirm payment for products and services purchased on this site; your address information will be released to the delivery service to deliver the products you ordered; and we may have to provide order information to third parties that help us provide customer service for you. You may contact us for more information about our third-party service providers. Occasionally we may be required by law enforcement or judicial authorities to provide personal identifiable information to the appropriate governmental authorities. We will disclose personal identifiable information upon receipt of a court order, subpoena, an order of a governmental authority or to cooperate with a law enforcement investigation. We fully cooperate with law enforcement agencies in identifying those who use our services for fraudulent or illegal activities. We reserve the right to report to law enforcement agencies or judicial authorities any activities that we in good faith believe to be unlawful or criminal. California Civil Code Section § 1798.83 permits users of our website that are California residents to request certain information regarding our disclosure of personal information, as defined in California Civil Code Section § 1798.83, to third parties for their direct marketing purposes. To make such a request, please send an email to the e-mail address provided below or write us at the mailing address provided below. 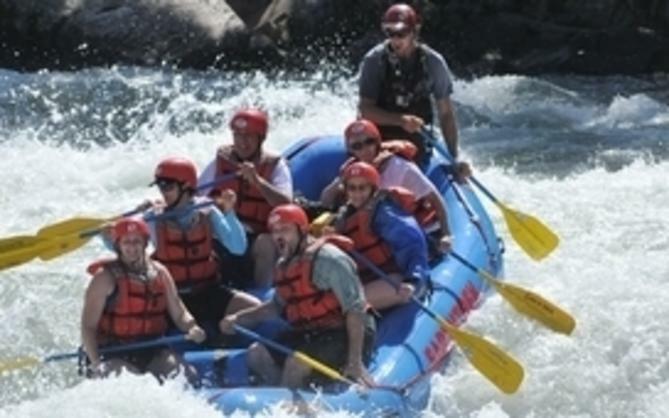 Visit Sacramento and its respective licensors and their respective images, logo designs, are trademarks, and service marks of Visit Sacramento and its respective licensors. All rights reserved. 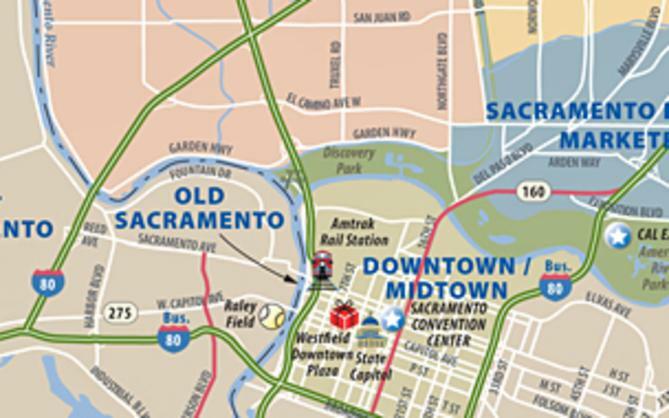 © Visit Sacramento and its respective licensors. 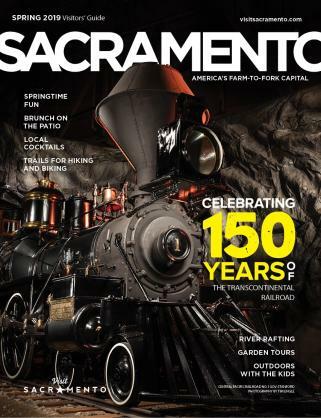 Neither this website nor any element thereof, including without limitation, text, graphics, images, photographs, likenesses or other materials, may be copied, reproduced, uploaded, posted, transmitted, or redistributed without the prior express written consent of Visit Sacramento. Trademarks, service marks, logo designs owned by third parties are used by permission.